We certainly do, and we love sharing all our favourite images from Goa on there too. To inspire you further, here is a collection of some of our favourite Goa based Instagram accounts. One of our favourite travel bloggers based in Goa, Anna shares a colourful mix of images from her travels around Goa and beyond. 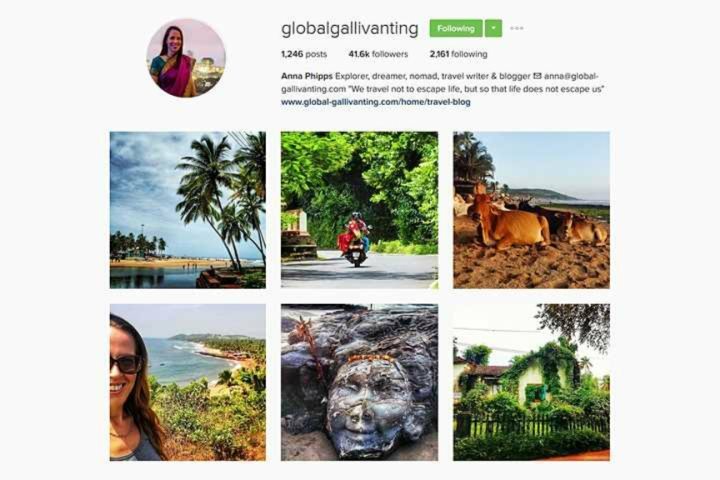 Check out her blog for plenty of tips about visiting Goa, Global Gallivanting. Do you eat, breathe, sleep Goa? 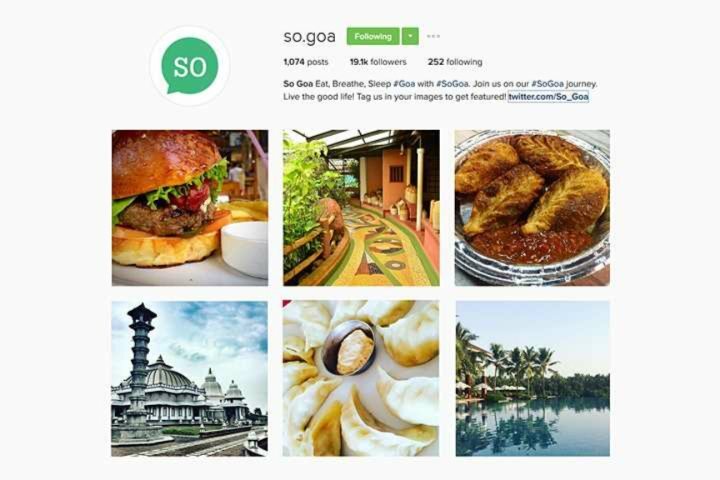 Then the So.Goa Instagram account will delight you! Do you love the glamour of Bollywood or a traditional Indian wedding? 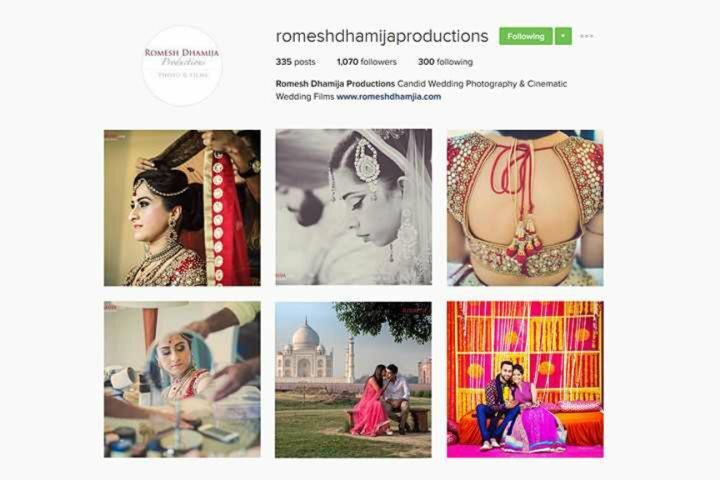 Then check out the wonderful images from Romesh Dhamija, Wedding Photographer and Videographer. 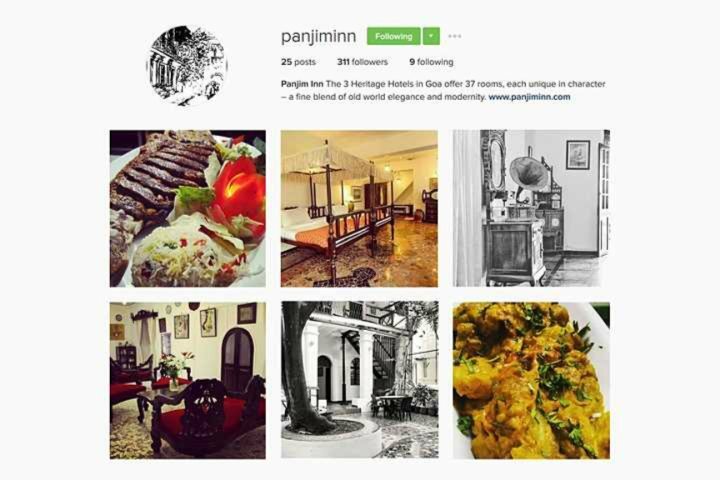 If you love old world charm and staying in unique hotels then this Heritage Hotel will be right up your street, Panjim Inn. 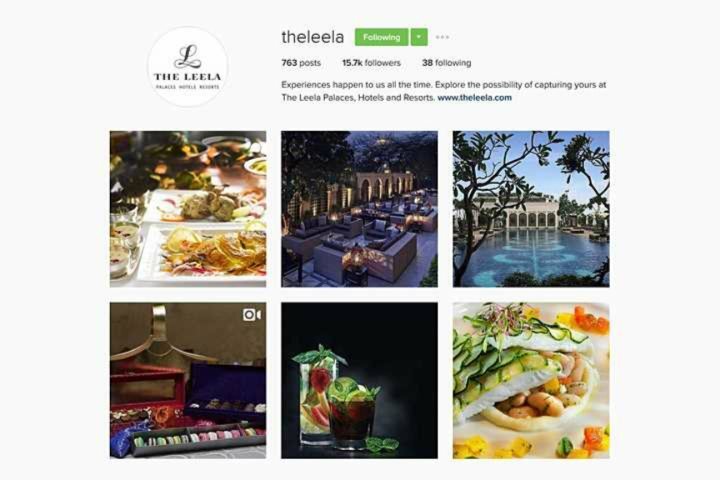 If the ultimate in luxury is your travel style then visit the most luxurious hotel in Goa, The Leela. Be warned this Instagram feed will make you hungry! 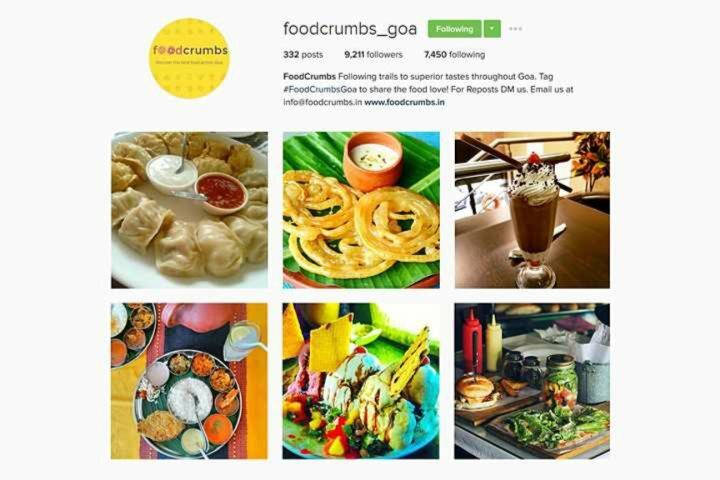 And we can’t wait until the lunch of their new website, helping you to discover awesome food across Goa. You can sign up now to receive lunch news, simply visit, FoodCrumbs. 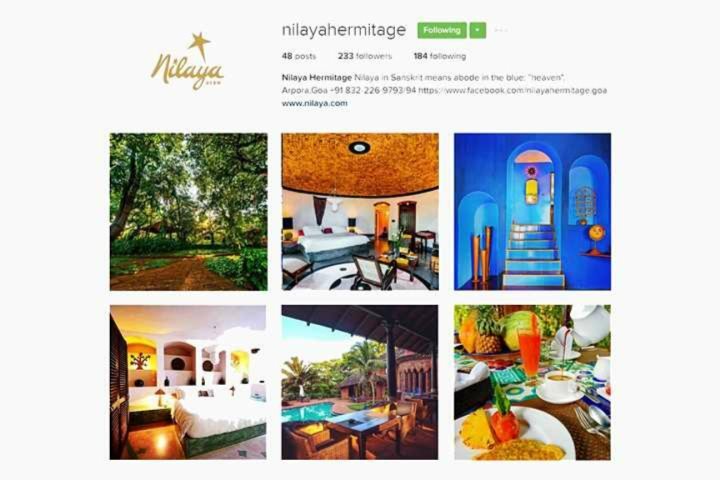 Moorish architecture in rust coloured laterite stone, shades of blue and lush green surroundings Nilaya Hermitage will beguile you. From the magazine dedicated to all things Goa, check out their soon to be released food guide on their website, planetgoaonline.com. 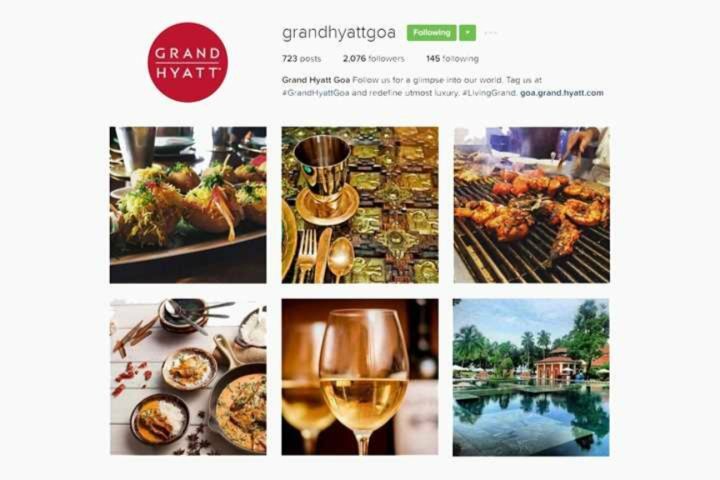 With tempting seascapes, luxurious pools and delicious images from their kitchens, you’re bound to be tempted to a holiday at the Grand Hyatt Goa. You’ll find a colourful feast of photos from Fernando Monte da Silva’s Instagram feed. 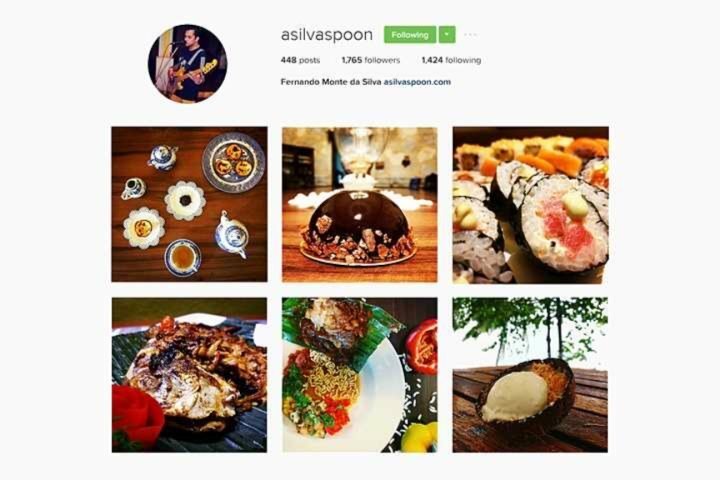 Check out his blog for some interesting insights to Goan restaurants at asilvaspoon.com. 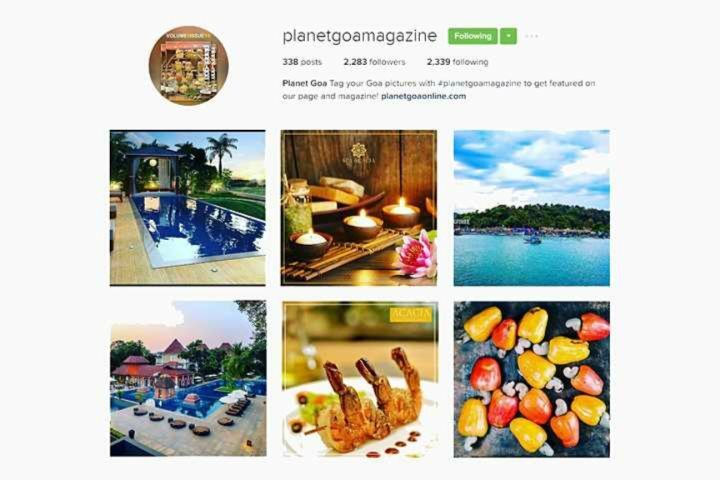 You can follow us on Instagram at GoaExperience. 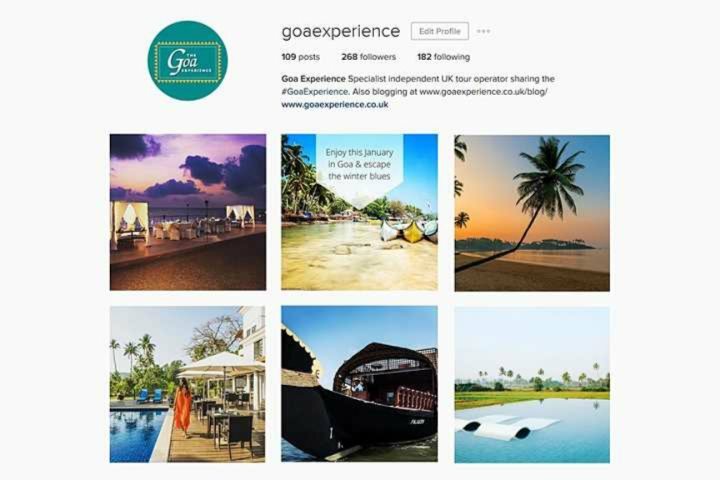 And please do share your Goa images using the hashtag #GoaExperience. We love seeing them!